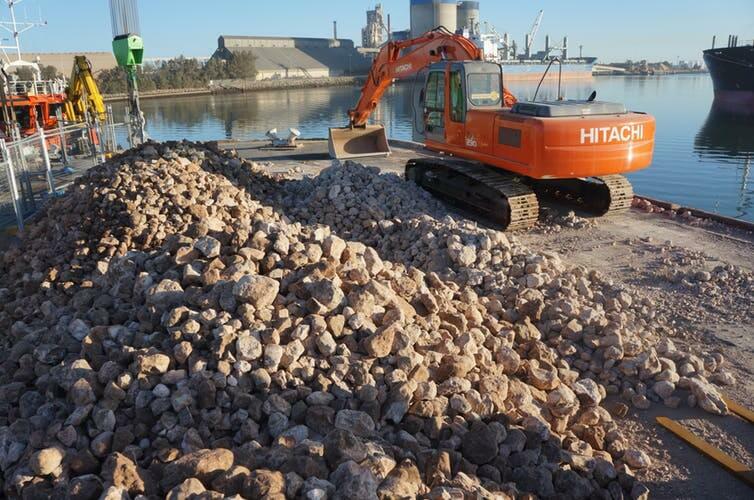 Researchers from the University of Adelaide have undertaken the largest oyster reef restoration project outside the United States in the coastal waters of Gulf St Vincent, near Ardrossan in South Australia. Construction began earlier this month with some 18,000 tonnes of limestone and 7 million baby oysters set to provide the initial foundations for a 20-hectare reef. The project is worth A$4.2-million and will be built in two phase. 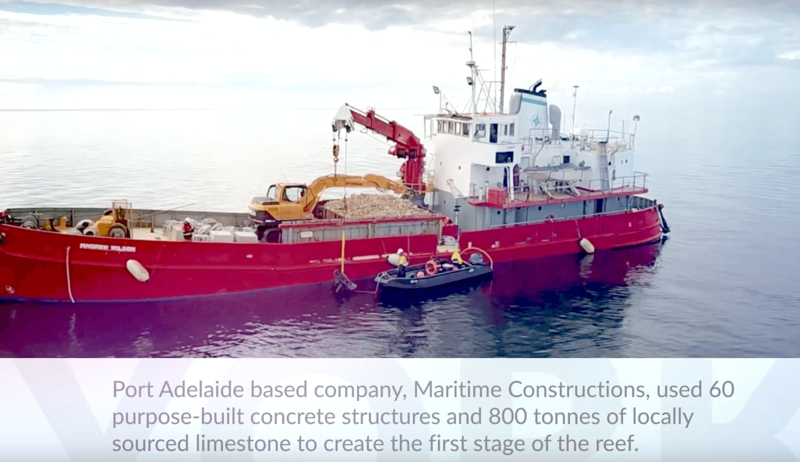 It will be completed by December 2018, with the first phase of the 4-hectare trial currently being built by Primary Industries and Regions South Australia; the second phase will see the reef expand to 20 hectares, led by The Nature Conservancy. 200 years ago the native mud oyster, Ostrea angasi, formed extensive reefs in the Gulf, along more than 1,500km of South Australia’s coastline. Today there are no substantial accumulations of mud oysters anywhere around mainland Australia, with just one healthy reef remaining in Tasmania. 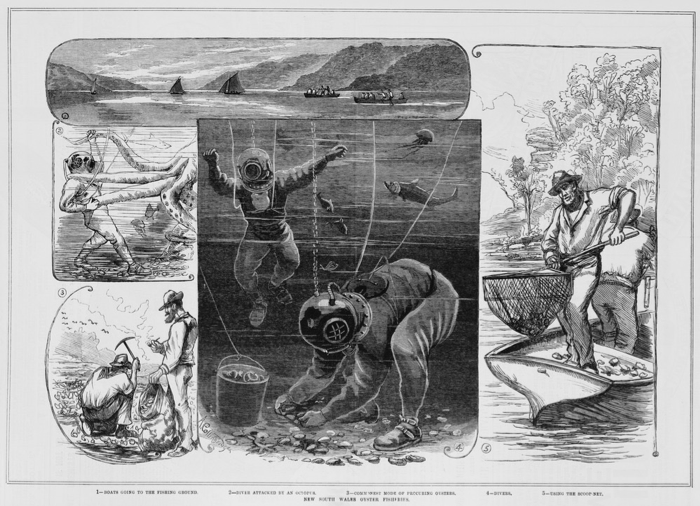 Oysters played a large role in Australia’s colonial history. When European settlers first arrived they had to navigate a patchwork of oyster reefs (also called shellfish reefs) that filled the shallow waters of the temperate bays. These enormous structures could cover 10 hectares in a single patch, providing an easily exploited food resource for the struggling early settlers. Oyster shell was burned to produce lime, and the colony’s first buildings were built with the help of oyster cement. Collectively, pre-colonial oyster reefs rivalled the geographic extent of the Great Barrier Reef, covering thousands of kilometres of Australia’s eastern and southern coastlines. For thousands of years oyster reefs fed and fuelled trade among Aboriginal communities. Shell middens dating back 2,000 years attest to the cultural importance of oysters for coastal communities, who ate them in abundance and used their shells to fashion fishhooks and cutting tools. The appetite of the newly settled Europeans devastated live oysters for food and dead shell foundations were scraped from the seabed for lime burning, which was critical for the settlement of new oysters. The combination of lost hard shell bed and increased sediment runoff from the rapidly altered coastal landscape, saw oyster populations crash within a century of colonisation. 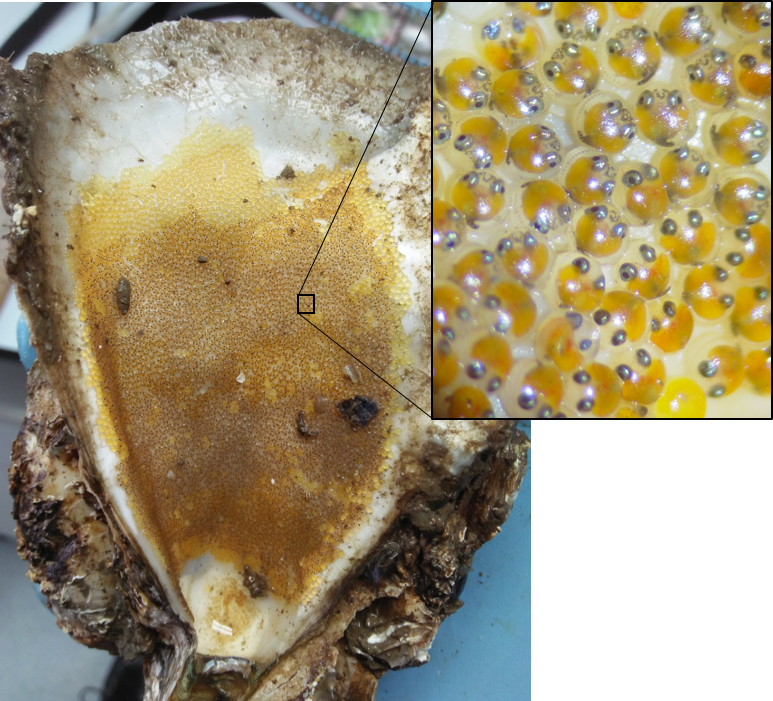 Today, oyster populations are at less than 1% of their pre-colonial extentin Australia. Globally it is estimated that 85% of oyster habitat has been lost in the past few centuries, making it one of the most exploited marine habitats in the world. A solitary oyster can filter about 100 litres of water a day, which means that en masse they can function as the “kidneys” of ocean bays, filtering excess nutrients from the water and depositing them on the seafloor. In doing so, they encourage seagrass growth, while their physical structures help to dissipate wave energy and thus reduce the impact of storm surges. As a carbon sink, oysters build calcium carbonate shells that are buried in the seafloor after death and eventually compacted to rock, thus helping to prevent carbon dioxide from cycling back into the atmosphere. Restoring oyster reefs has the potential to return these ecosystem services and increase the productivity of coastal ecosystems. The Gulf of St Vincent project is a collaborative partnership between the South Australian Government, The Nature Conservancy, Yorke Penninsula Council, whilst the University of Adelaide is working to ensure that the restored oysters survive and thrive, and that the reef continues to grow. This entry was posted in Marine Biology Program, MBP, Oyster Reef Restoration, Research Wins and tagged Dr Dominic Mcafee, Nature Conservation Society of South Australia, oyster reef restoration project, oyster reefs, Oyster Restoration, Prof Sean Connell, Professor Sean Connell, South Australian Government, The Conversation, The South Australian Government, Yorke Penninsula. Bookmark the permalink.